Louisa May Alcott's novel, Little Women has endured as a favorite for 150 years. It is considered to be a timeless classic, and rightly so as it has served as an inspiration to generations of women. Originally published on September 30, 1868, Little Women remains a favorite and continues to inspire and encourage women, young and old, to dream new dreams and pursue purposeful lives. At the beginning of Alcott's writing career, she wrote poems, short stories, and potboiler dramas. Then in 1868, her publisher asked her to write a book for "little girls"...and the rest, as they say, is history. 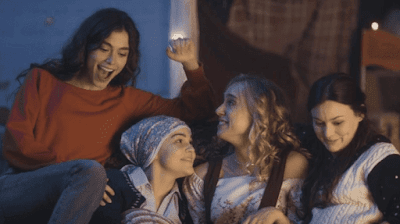 And now, on the 150th anniversary of Alcott’s original release, a modern retelling of LITTLE WOMEN brings us the same story of those beloved sisters to a new generation. From girls playing in the attic to women living with purpose, the March sisters- Meg, Jo, Beth, and Amy- are committed to always supporting each other. Yet growing up sometimes means growing apart. 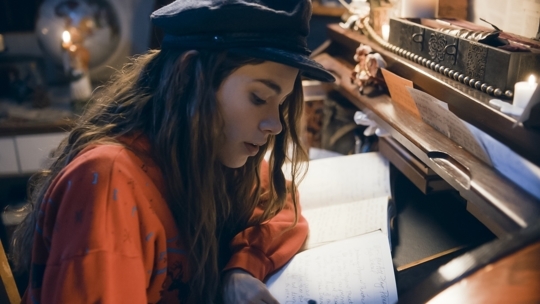 An aspiring writer, Jo leaves for New York determined to publish a novel. In the wake of rejected draft upon draft, her editor challenges Jo to write about something more interesting...her family. Jo knows the perfect one by heart. Starring Lea Thompson as Marmee and featuring a talented cast, Including Lucas Grabeel and Ian Bohen, LITTLE WOMEN tells the story of the same beloved sisters to a new generation. 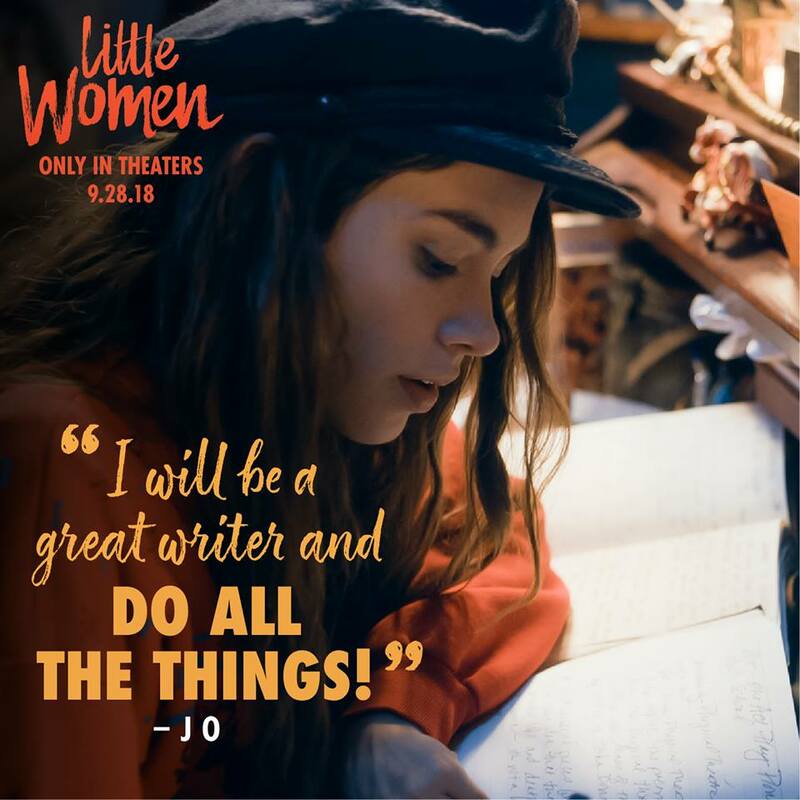 Celebrating dreams, family and unconditional love, LITTLE WOMEN opens in theaters this weekend(Sept. 28th). 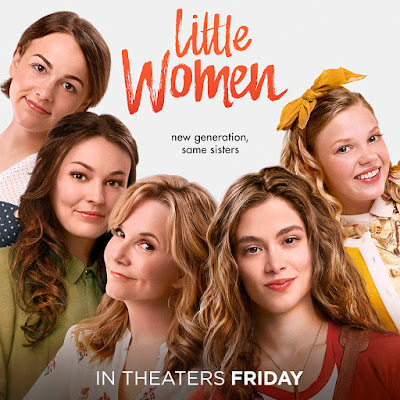 I have to admit when I screened this movie, I was ill prepared to do a true comparison to other Little Women movies...or even with the book. It has been so long since I had read Little Women that I needed to do some research to get the story back into my recent memory. While some of the elements of the story are obviously different than the original story, such as Marmee(Lea Thompson)dealing with creditors on the phone while her husband is overseas in Afghanistan serving as an Army medic, the heart of the story remains true to the original. The unshakable bond between the March sisters remains the same...and that is the heart of this film. 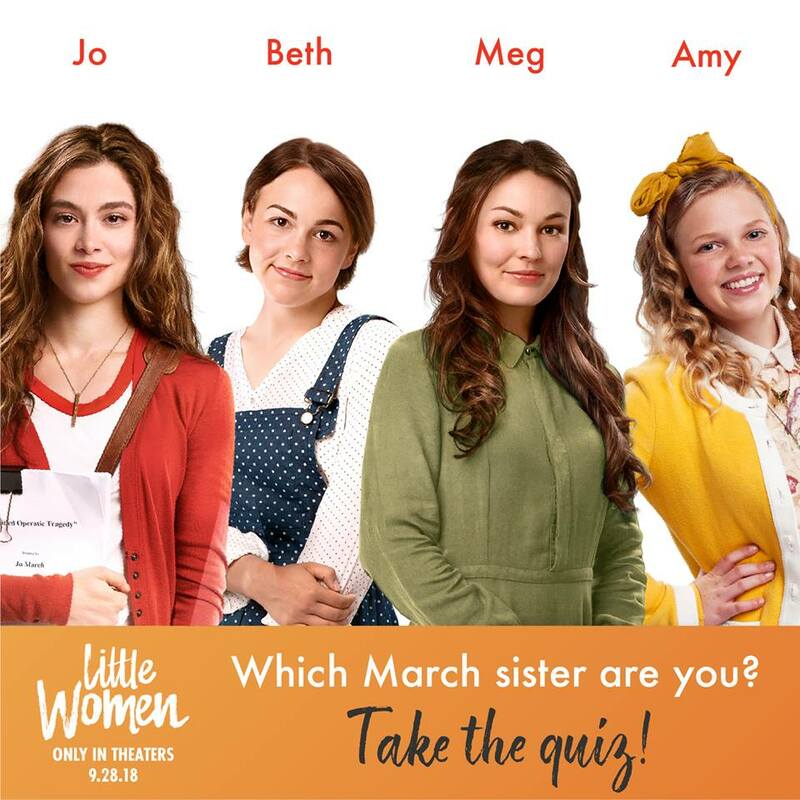 The movie begins with Jo going to New York where she has grand plans to publish a novel and then continues a series of flashbacks to where it all began...in her family home, growing up with her sisters and their wise mother, Marmee who encourages them to follow their dreams. I admit that I did get a little confused at a point or two with the chronological flashbacks, but overall the story began to flow for me and I settled in to enjoy the movie. I did get a little put off with how strongly cruel Jo could be to her sisters, particularly to her sister Amy...but sibling spats can resort to being mean-spirited arguments. I have to admit the 'B' word did come to mind a time or two, but as Jo grew in character some of that meanness lessened as well. And in the end, there is reconciliation...which in my opinion is a necessary element of a good story. I'll leave the rest of the storyline for you to discover. The writer and director of this modern retelling seem to have worked hard at staying true to the heart of the original. The themes of celebrating sisterhood, unconditional love, and the quest of following your dreams come through clearly in this beautiful retelling of this much loved classic novel. Take the quiz! 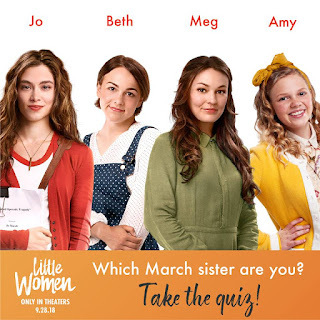 Which March Sister are you? Release Dates: 8/20/18 Digital, 9/18/18 DVD. Jesse is approaching her 15th birthday and the only gift she desires is a horse. Unbeknownst to Jesse, her mother Brandy is in the throes of a cancer diagnosis which has Jesse's father jumping through unexpected obstacles. He signs Jesse up for summer camp, but when summer camp falls through he decides to have her stay with her estranged grandfather, an old gruff horse trainer named Gauff. Gauff, still recovering from the death of a special horse named Grace, now faces the challenges of teen negotiation. Gauff finds he must swallow his pride and ask his daughter Brandy for forgiveness. 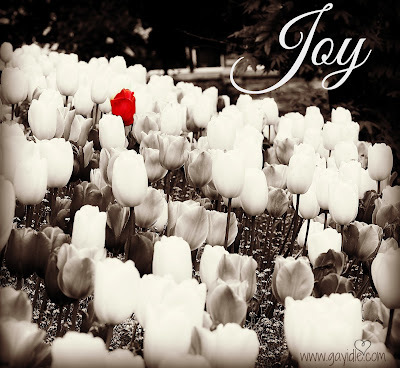 A humorous and inspiring story of how Grace works in mysterious ways. Available now on Digital. Available on DVD 9/18/18! 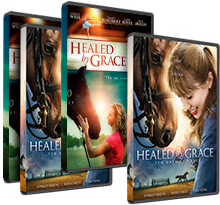 Healed By Grace 2 is the second in a film series set in an inspirational equestrian training setting. While the movie begins by establishing Jesse's love of horses, it quickly gets into the tricky problem of dealing with a cancer scare for Jesse's mother, Brandy. Brandy doesn't want to let Jesse know about the possible cancer diagnosis until she has had time to go through diagnostic testing to establish whether it is cancer or not. So, they begin making plans to send Jesse to camp in order to give them time to work things out. I don't want to retell the entire story in my review so I will just say that things begin to get a bit more complicated as Jesse's dad works on taking care of not only Jesse's situation with camp but also Brandy's need to take care of some emotional baggage in her own healing process with the cancer. And it all becomes entangled with an old horse trainer named Gauff and a horse named Grace. Again, as I said in my last movie review, like so many other movies within this genre there is a certain level of predictability. And some of the humor is a bit too cheesy for me...particularly the Christian camp director who Jesse's dad first spoke with. He was a bit too caricature-ish for me. That said, I would still recommend this movie as a good family movie. While it handles some serious subject matter, there is also a good amount of humor to lighten it up. I believe that there is value in watching movies with our children that handle difficult topics with grace. It can provide opportunities to discuss life's tuff stuff with our kids. In this case, there is family division, divorce, and cancer. But even more so the movie points out the importance of reconciliation, the role forgiveness plays in our healing both spiritually and physically, and the importance of unity within the family. This film will encourage you to trust "...that in all things God works for the good of those who love Him and are called according to His purpose." Enter the rafflecopter below for your chance to win not just one, but two DVD's! The original Healed By Grace and Healed By Grace 2! HURRY!! 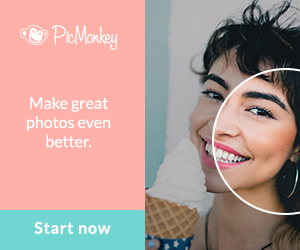 CONTEST ENDS September 10th! As a contributor for the Lev3L digital Influencer Program, I offer my honest opinion. I am not monetarily compensated, but I get to run the free DVD combo contest and receive a free DVD combo set for myself. So that's a possible win for you and a win-win for me! 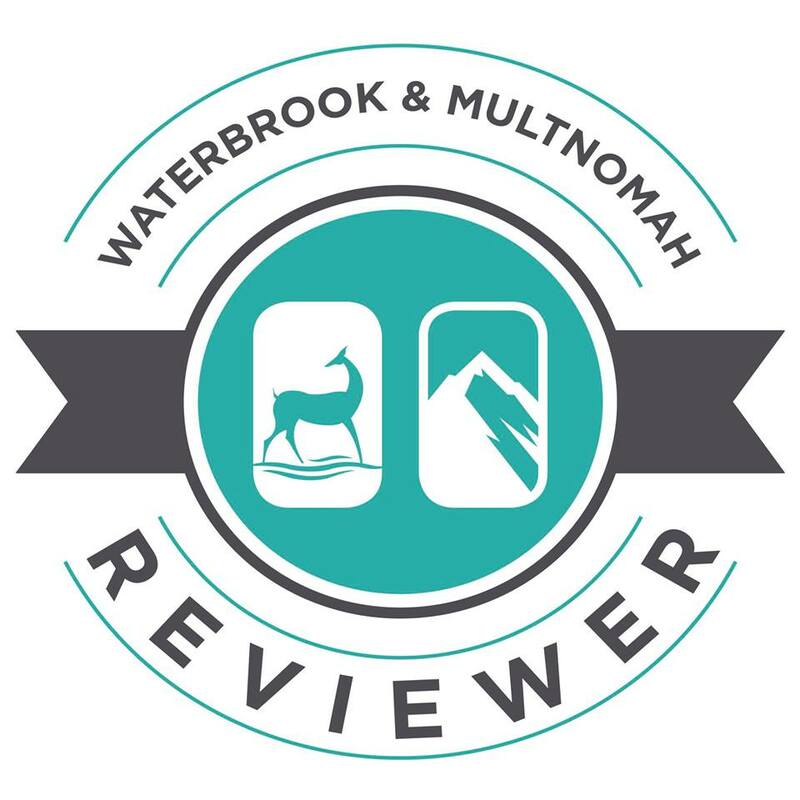 I don't usually do straight up book reviews here on the blog. However, I do love to post an occasional Interview With The Author article. I work with some publishing companies and authors to help promote books and movies from time to time. I can assure you that I only recommend those products, whether movies or books, that I can honestly get behind. My heart in sharing these things with you is to give you resources to help you to grow and continue to pursue all that you were created to be. 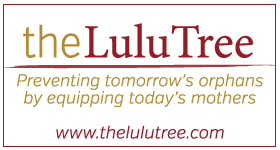 I will only promote products that I personally use and/or that I believe will add value to you, my readers, and will further the Kingdom building message and purpose of my site. With that in mind, I want to introduce you to a book I have had the privilege to preview. I believe this little book is a precious opportunity for parents to create lasting memories with their children. 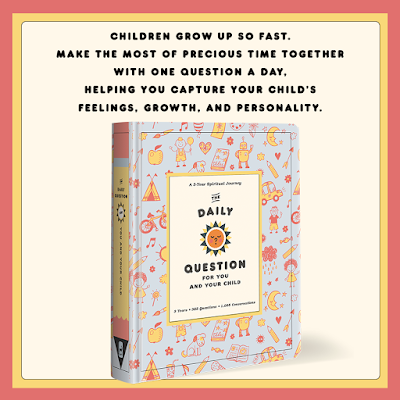 The Daily Question For You And Your Child: A 3-Year Spiritual Journey. on spirituality and the child's heart, while some are meant to capture their creativity, spirit, and sense of humor. 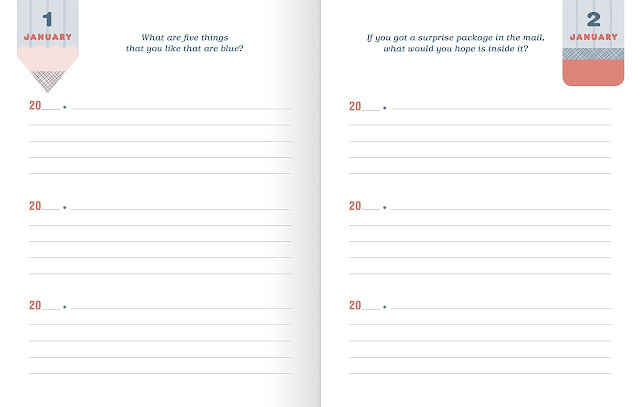 All questions spark conversations and memories that span well beyond the pages of this book. As a woman who has two grown children, I can tell you that I wish I had something like this book when they were little to prompt me to write down some of their precious thoughts on...well...so many things. We all think we will remember the cute, funny or sometimes profound words that spring forth from our children's mouths but as time passes so do those memories. Our recall becomes questionable...how did they say that again? Oh...it was sooo cute! Or perhaps their words revealed just who God created them to be...their creativity or industriousness, or their tender heart. By the time they reach their teens we sometimes have to dig to find that tender heart again. Now I don't necessarily believe I have turned into someone I was not meant to be...but I can see how the obstacles along the way have put roadblocks in my way to feeling completely secure in who I was created to be. And perhaps have kept me from fully realizing all that God created me to be. I'm still on that quest. Getting back to the book at hand. I believe that this is a great tool to create a beautiful keepsake not only for the parent's but for the child as he/she grows into adulthood. One that will be treasured. This is a quality little hardback book with a pocket on the front cover of the book where you can place a photo of your child, and even change it out with each year. I would recommend getting one book for each of your children. You can record their words when they are young and as they are able they can write down their own answers. I love the questions! They are thoughtful and have the potential to prompt great conversations. Some questions are just fun and silly, while others are thought-provoking and have the potential to reveal your child's heart as you listen to their answer. 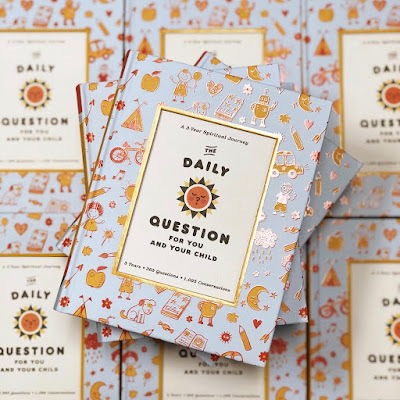 The questions could be read at the dinner table each day or at bedtime each night. Or whenever it works best for you. They are so simple that if you miss a few days it would be easy to just ask a few questions at one time to get caught back up. Take a look at this photo of a two-page spread from the book. Who do you think needs a hug today? If you could spend an hour as any animal, what animal would you pick? Do you prefer to build snowmen or have snowball fights? If you could ask Jesus a question, what would you ask him? What is something you'd like to know how to make? What do you wish I did more of? What do you wish you could spend less time doing? If you could meet someone from the Bible, who would it be? What is the first memory you can think of? What is hard for you right now? How can I help you with it? Some who have reviewed this book have stated that the drawback, like so many other things begun with good intentions, is that it has the potential to be just one more thing on our already too long list of to-dos. But I think it is something so precious it is well worth the effort to get this book and begin making memories with your child. It's time to slow down in this crazy media driven world. Take time to sit down at the dinner table with your family, put the phones away, and talk to one another. Ask questions and listen...really listen to your loved ones as they answer. Don't tell them what or how to think, but listen to their hearts. You might just begin to understand why you have been given the privilege of having this child pass through you into this world. You did not create their destiny even though they share your DNA. Listening to the way they process these questions just might give you an idea of the inclinations of their heart. Parents, we are not the ones who created these precious ones who have been given into our care. No, they are the offspring of our heavenly Father, their spiritual Creator...just as you and I are. So listen and learn, so that you can be a part of the legacy that HE wants to leave with this world through the lives of our children. Be the guide in their lives to help steer the inclinations of their heart toward their Creator so they will grow fully into the man or woman God created them to be. God has given us an awesome responsibility. Let's use all we can to help us accomplish His purposes for our children. I'm not saying this book is the end all to good parenting...not at all. I just think that it might be another small tool (and a fun one) to help us along the parenting journey. My plans for this book? I'll be ordering a second book to give as gifts to my grandsons, Judah and Eli, for Christmas. I hope that this book helps to create some very special memories for you and your child! *Affiliate links in this post: As an Amazon Affiliate I earn a small percentage from qualifying purchases. This helps me to update and improve my site and keep it running. Regardless, I will only promote products that I personally use and that I believe will add value to my readers and further the Kingdom building message and purpose of my site. Thank you! I'm so excited to have Kelly Balarie, author, speaker, fear fighter, and faith cheerleader guest post on the blog today. 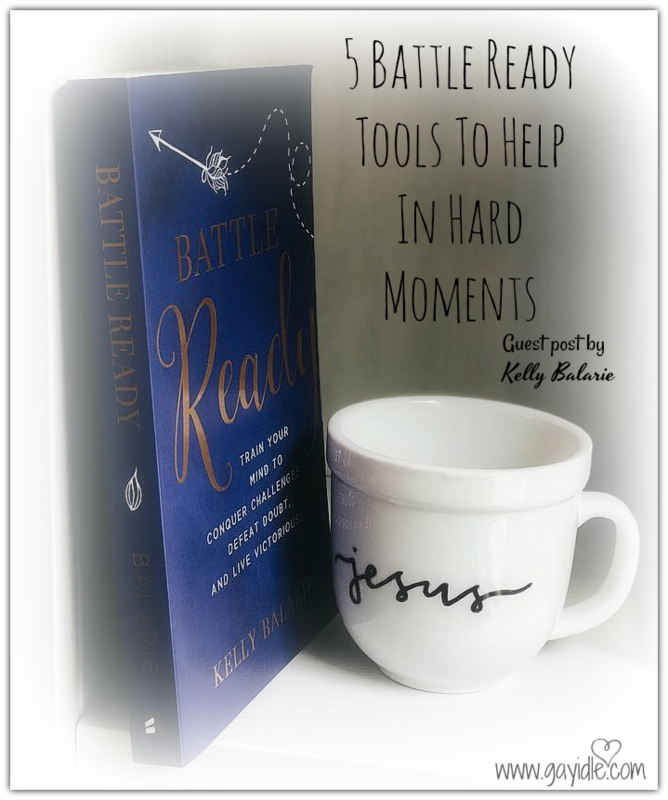 Kelly gives us a glimpse of what it means to be "battle ready" by giving us 5 tools to help in hard times. The enemy of your soul wants nothing more than to jump into your weakest moments and ambush your faith, leaving you weak and exhausted and doubting the Lord's love for you. Don't wait for that to happen. In her latest book, Kelly provides a variety of biblical truths to renew the mind, exercises to boost hope, and habit altering strategies to equip and prepare us to be ready to stand firm when the attacks come...even to experience peace in the midst of the mess. Kelly gives us the tools to equip our heart, spirit, and mind to be Battle Ready. So grab a cup of coffee/tea and join us. I hope that you are blessed by her words today! Oh...and Battle Ready releases today!! Congrats to you, Kelly on the birth of this beautiful book-baby!! Follow the links in the post below to get your copy today!! She didn't so much as say hi to me. In fact, even worse, she walked right past me, looking the other direction. She pretended I wasn't there. Hmph!! After all I've done for her. After all I've given her. After how I've gone out of my way to love her. Now I'm the one left looking like a crazed waving-at-the-air fool. Like - an idiot. I humph at her husband along the way to my church seat. Silently, I critique her in my mind, She's rude. Before not too long, I get side-tracked by own thoughts: Everyone always hurts me. Like that boy, I asked to dance in 4th grade. Like those girls who circled up to whisper about me in that damp locker room. Like the group of women who act like they're far better than me. I'm supposed to be listening in church, but who can listen, thinking about all this, all of them!? Here, I find myself, in the heat of a horrible battle. You can always tell if you're in the heat-of-a-battle. Almost instantly, your soul-crushing problem magnifies 100x larger than your promise-keeping God. Suddenly, you're standing weaponless, in all-out combat within your own mind. Hardly able to win. I've struggled through a lot – through massive health-scares, depression, an eating disorder, financial debt and relationship-severing dramas. Battles. Huge, hard-fought battles, loaded with momentary decisions of pain, struggle, and uncertainty. 1. The doctor returned to the room with the clipboard saying, "You really might have Mulitple Sclerosis." 2. My colicky newborn made me pace my hallways 24-7. Sleepless, hardly-thinking and powerless to change my health-situation, I didn't know what to do. Identifying your main struggles (resentment, regret, trauma, unforgiveness, bitterness, anger, fear) is to allow God to help you win your battle. For example, for me, underneath that issue with the girl, was an old war full of rejection, humiliation, and abandonment from years past. Underneath, were old battles I’d lost – because they were left unaddressed. Therefore, they left me with resentment towards God. Seeing our battles for what they are, gives us a clear-cut strategy to fight - and win. It also removes all the pent-up offenses that, like plaque, cover our heart. 2. Giving those hurts to Jesus, by saying, "Jesus, I am not meant to carry these. Forgive me. They've hurt me for far too long. I know and believe you have peace, joy, life, and freedom for me as I give you these things." This is the start of being Battle Ready. There truly are practical insights, wise biblical instructions and truths that can help you rise above the mayhem of trials, and hardships. 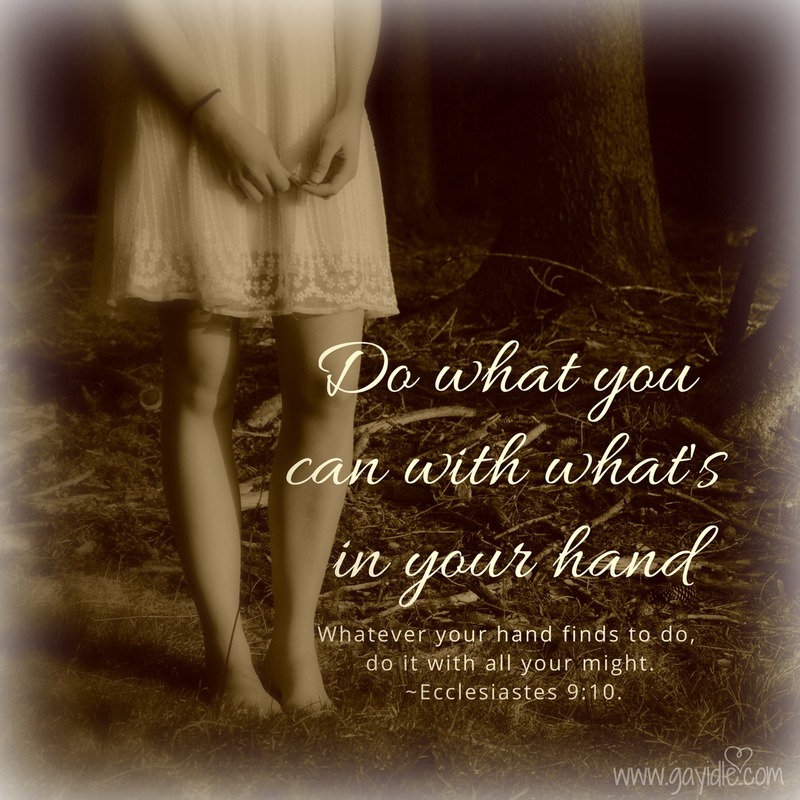 You can find the light of Christ and step into all God has for you. "The best time to be strengthened against the Enemy's tactics of doubt, disappointment, and devastation is before he makes his first move toward us. 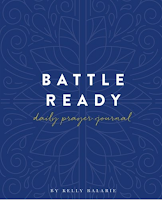 We all desperately need the biblical guidance and preparation found in Battle Ready!" Kelly Balarie, an author, and national speaker is on a mission to encourage others not to give up. Through times of extreme testing, Kelly believes there is hope for every woman, every battle and in every circumstance. 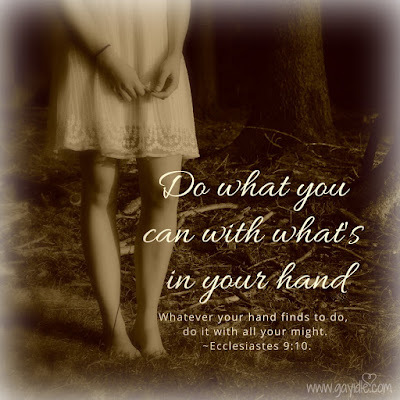 She shares this hope on her blog, Purposeful Faith, and on many writing publications such as Relevant, Crosswalk, and Today's Christian Woman. Kelly's work has been featured on The Today Show, 700 Club Interactive, Moody Radio and other television and radio broadcasts. When Kelly is not writing, she is chilling at the beach with her husband, a latte, and 2- toddlers who rightfully demand she build them awesome castles. I have found through the years that yes... life is hard, but God truly is good. It can be hard to hold onto that truth in the midst of a battle. 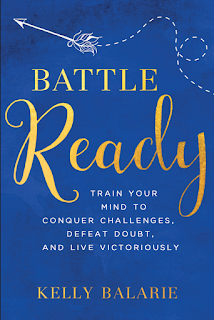 In Kelly's book, Battle Ready, she gives us the tools to stand firm in the midst of the mess and the conflicts of life. If you have questions for Kelly, please leave them in the comment section below.